Welcome to Infinite Root Software Inc.
Learning C# Volume 2 Published! 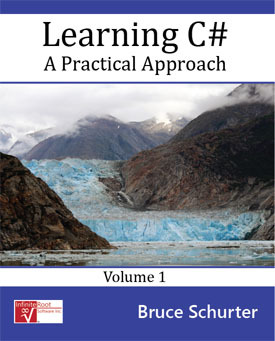 The second C# programming book, Learning C#: A Practical Approach - Volume 2, has been published. See the Learning C# page for more details. Our first book, Learning C#: A Practical Approach - Volume 1, has been published. Head over to the Learning C# page for more details. MathStax has made it to the top of the educational games charts for Windows Phone! Hot on the heels of the release of our game MathStax, we are announcing our upcoming game: WordStax! We are pleased to announce the release of our Windows Phone game MathStax! After long hours of coding and testing, we finally released our first Windows Phone game. Inspired and tested by our founder's daughter, Caitlyn, this game will finally see the light of day (besides on our pesonal phones). We hope you enjoy it and we look forward to any comments or suggestions you may have. You can shoot us an email at support@infiniteroot.com with any of your ideas.